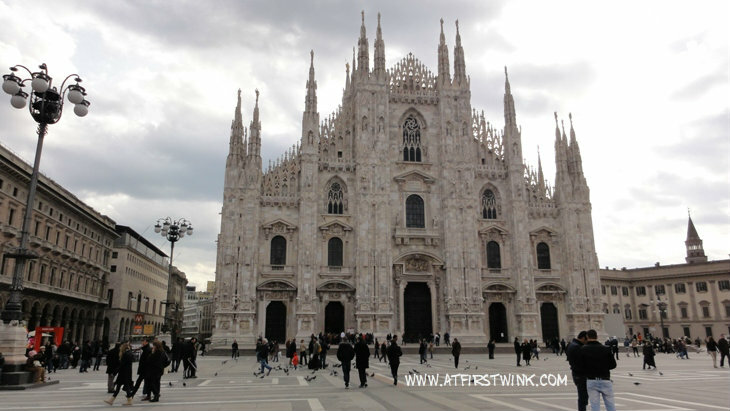 In April 2010, I went for a three day trip to Milan and Venice. 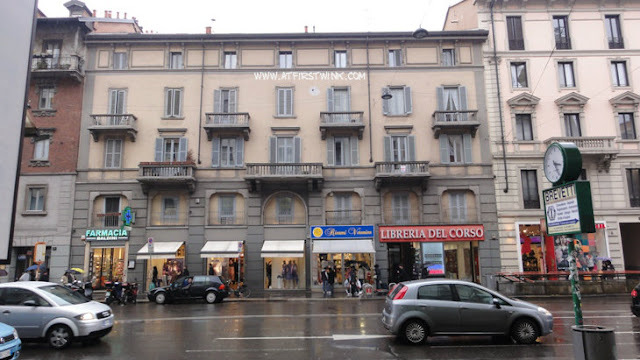 I stayed at the Michelangelo hotel, which was conveniently located across the street of Milan central station. 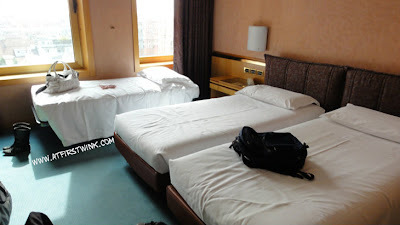 The triple room I stayed in, was very spacious and although the interior is a bit outdated, the room was very clean. The room price includes free internet, a breakfast buffet with a great selection, as well as complementary drinks and snacks replenished every day in the minibar of your room. The jacuzzi in the bathroom was also a nice thing to have after all the walking you do there. 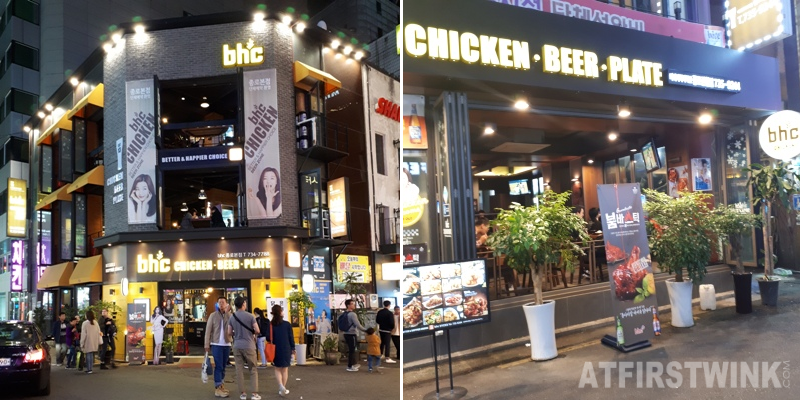 The area around the hotel is quite nice; there is a market right outside of the station, a metro station nearby, and there were a lot of decent restaurants in the surroundings. Although you have to be careful for some may be a bit overpriced. The bus stops, which takes you from and to the local airports, is also very near. Because I stayed close to the train station, I could easily take a one day trip to Venice and come back to the hotel in the late evening. The hotel room in the Michelangelo. Yes, those boots in the left are mine. - Corso buenos aires. In this long shopping street you can find a Grom gelato store, an ice cream store you do not want to miss. I highly recommend the crema de grom flavor, it's similar to cookies and cream but better. 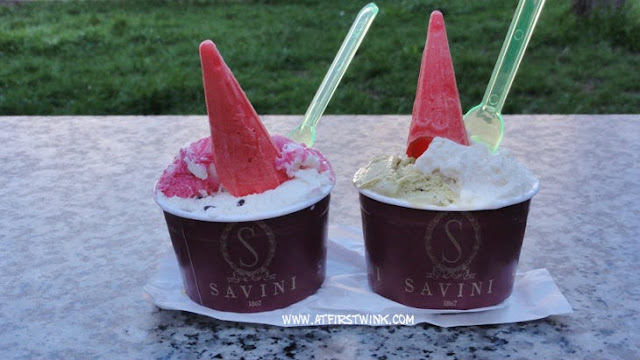 Also, do not forget to taste the pistachio flavor in every ice cream store in Italy. - the Duomo cathedral. You can combine the cultural with some shopping in one trip as right next to it is the Galleria Vittorio Emanuele, the department store La Rinascente, and diverse shopping streets. 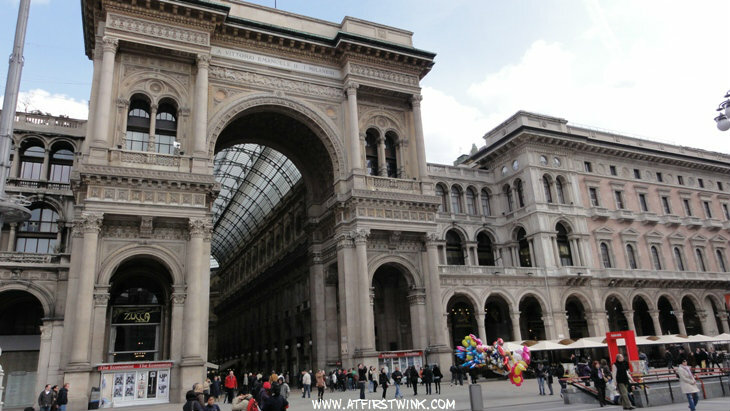 Galleria Vittorio Emanuele, a small shopping mall. When you enter the Galleria from the Duomo side and go straight to the end, you can find a small park right outside with nice marble benches. I found this secret spot the second time I was there. Previously, I already wanted to find a place to rest my tired feet without having to order something (pricy) to eat or drink after shopping and walking around in that neighborhood. So, I am definitely remembering this place. After getting a gelato somewhere (In my case, it was from Savini located in the Galleria), you can go there and calmly enjoy it in a nice, serene surrounding. In one of the nearby streets, I found a Carpisa store with very nice bags and accessories for affordable prices. When you are in your early twenties like me, it is nice to be able to find affordable things in genuine Italian style to bring back home as gifts for friends and family. 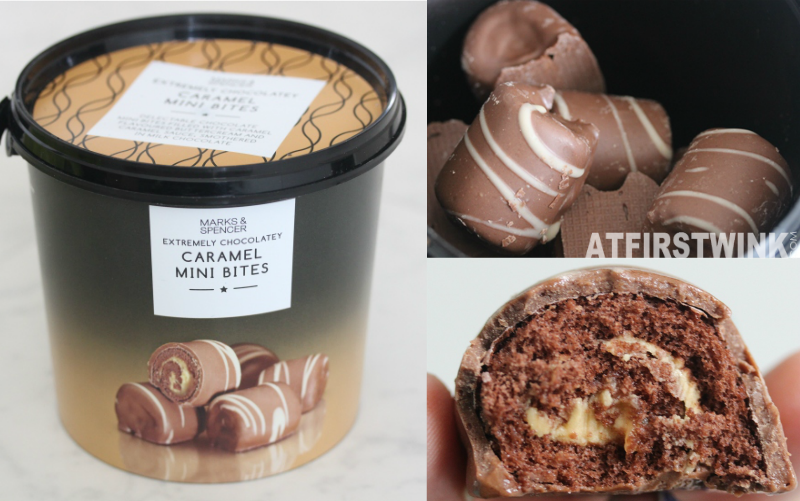 It is a lot better than useless things like trinkets and tacky souvenirs. The two faux leather bags I bought felt very nice and soft on the outside. However the inner lining of one of them is made of a paper-ish fabric, but not everyone notices or is bothered by that. I also bought a nice jewellery case. The items I bought were all around €10-€20. The store also has funny turtle key chains, wallets, suitcases and a separate line for men.